The score for the Fellowship of the Ring is one of the best orchestral pieces I have ever come across. It is very different from the other orchestral/band scores inspired by the book, composed before the movies were made. This has a more melancholy and mystical feel, which complements the atmosphere of the film completely yet subtly. Tolkien’s description of Middle-earth is impressively vivid and colourful, and Howard Shore’s interpretation is emotional, expressive and creative yet depicts an almost realistic world. The purpose of film music is solely to guide the audience’s emotions and feelings. Not only does this soundtrack fulfill this perfectly, alone it is a masterpiece and a beautiful orchestration of stunning original music. I can listen to the music and visualize the story. It describes us the journey in amazing detail and all that we have to do is interpret what we hear. There are so many good points about the music and the way it is cleverly woven into the visual. While watching the movie, I was barely aware of the music that was playing. It fits in so seamlessly with the film yet has a voice of its own. That, I believe, would be the ultimate goal of a composer, and is flawlessly achieved by Howard Shore. I’d like to comment on the various themes of the Lord of the Rings. The different cultural aspects of the music are awesome, and the complexity of the themes and harmony marvelous. This two-part theme lends itself to so many different versions and variations. The Frodo-Sam scenes are accompanied by a sweet tender version of this theme, and is first heard when the two hobbits set out on their journey, essentially the “beginning” of the Fellowship. When the Fellowship is formed, the same music swells up to become a full, proud, vibrant and strong tune that embodies the very essence of what the Fellowship is about. This theme reaches its peak when the nine companions are seen walking in single file over the hills. The breaking of the Fellowship has this theme in a very sad, thoughtful solo, which tugs at your heartstrings and you really feel for the characters. I am amazed by the outward simplicity of this part, hidden under the complexity of the score. The solo violin/fiddle part gives the Shire a rustic, innocent feel that Hobbits emanate. It is important for the viewers to understand and notice the vast difference between the Shire and all the other lands of Middle Earth, and you can hear the contrast in the music. The Black Riders have a specific chant and an eerie feeling to it. The climax is the Flight to the Ford, where this theme builds up till the wraiths are washed away. It has an almost biblical feel. Mordor has a different, very raspy and ugly tune. I love the way Howard Shore used various instruments from different parts of the world for this soundtrack instead of sticking to the traditional orchestral or band instruments. Isengard is another ear-opener, with the irregular 5/4 or 5/8 time signature and interesting percussion. The addition of the boys’ choir during the butterfly scene on Orthanc gives Isengard a cold but slightly church-like feel, a combination which chills you to the bone! I believe this is the best part of the score; the expressive awe-inspiring harp and the tuneful strings are perfect for Rivendell. This is as Elven as you can get. The choir sounds beautiful and ethereal, and Rivendell has a strange yet homely and safe air, and the Shire theme incorporated here when Frodo meets Bilbo is magical. The men’s choir is perfect to depict Dwarf music. The drums and low chanting interpret the deep caverns and Dwarrowdelf amazingly well. The heart-wrenching music after Gandalf falls is enough to set you sobbing along with the Fellowship. To quote Elijah Wood, at Lorien the members of the fellowship are physically comfortable, but mentally at unrest, especially Frodo, who feels Galadriel’s desire for the Ring. The Lothlorien music is mystical and a bit unsettling at the edges, but does not lack any of the Elvish feel and ethereal sound Rivendell has. A North African instrument is used for the theme, making it feel foreign and different. The lament for Gandalf is perfect. The tune for the Argonath is inspiring and uplifting, not to mention the glorious atmosphere of pride it possesses. This part of the score represents Middle Earth so well, and the world of Men. The tune is performed by the boys’ choir, in Elvish that we can’t really make out. It has a such a pure, high ring and along with the actors’ (Aragorn and Boromir) brilliant facial expressions and the sound effects of the Ring “breathing”, and whispering to the person, (“Aragorn, Elessar?”) creates such an evil yet attractive force working. It’s breath-taking. The people who worked on the music, and Howard Shore, made up for the lack of the various languages speech in the script. Not nearly enough Elvish, Dwarvish and Black Speech were in the lines, but this was corrected by the addition of the lyrics added in the music. It creates such a feeling of deep culture and history which Tolkien wrote about. Finally, we come to Enya’s beautiful pieces. “Aniron” represented Aragorn and Arwen’s romance so perfectly, and the expressive “May It Be” finished off the movie amazingly well, I’m sure I was not the only one who felt moved to tears. This is my own opinion of the score for The Fellowship of the Ring, and though not everyone will agree with me, I do not think that anyone could praise the genius and creativity of this piece of music enough. It’s awesome. The songs on the CD are great, you can get a lot of pleasure out of listening to them. The songs are the background music of certain scenes of FotR, and if you, like me, have seen FotR a couple of times (maybe too many) you could identify the exact scenes which the music was played in. On the soundtrack, there are two songs performed by Enya. These songs are very beautiful. One of them is the song “Aniron” which was the theme of the scene were Aragorn and Arwen met in Rivendell. The other song is “May it Be”. Both of the songs were done brilliantly, by the amazing voice of Enya. The soundtrack has, of course, scary parts, happy parts, sad parts and calming parts, the blend of all of them is what makes the soundtrack so beautiful, and if you want my opinion, I felt there were heroic parts to it too. When I first heard the opening bars of the soundtrack echoing from the blackness, intertwined with Galadriel’s speech, I knew I was in for something special. All through the film I sat and listened to the themes. The quaint pipes of Hobbiton, the soul-filling music of Moria and the elegance of Lothlórien and Rivendell. What composer Howard Shore and his team of specialists have done for Peter Jackson, is something out of the ordinary. “Concerning Hobbits”, a title taken directly from Tolkien’s writings, is what I consider to be the calm before the storm. It spans the entire length of Hobbiton, playing tunes that are well remembered and enjoyable to listen to. It is an excellently written piece and is one of the better themes on the soundtrack. The next section of music is more dark and disturbing. It focuses on Gandalf’s arrival at Isengard and the start of Frodo and Sam’s journey. It is also the section where we hear the first strains of the Fellowship theme, which is later extended and includes a song. The gentle Elvish ‘humming’ at the start of Track 4 “The Treason of Isengard” is a wonderful way to start the piece. The “humming” plays against the powerful strings well and later the horns that signal Gandalf’s coming to Isengard. Indeed, much of the track is music for the fight between the former pleasant head of the Istari, Saruman the White and Gandalf. Track 5 is entitled “The Black Rider” and is predominantly a choir vocal track. Just 2 mins. 48 secs. long, it is short compared to others on the soundtrack, yet it immediately puts across a powerful impression of the Ringwraiths, and you could imagine them well even without having seen the film. Track 6 is again a choir vocal track, much like “The Black Rider”, and is set over the sequences at the town of Bree. The poem “The Revelation of the Ringwraiths” written by co-screenplay writer Philippa Boyens is sung by the choir and creates such a chilling atmosphere that it is guaranteed to shake you to your very core. Both Tracks 5 and 6 are well written, yet may be slightly too short for those wishing to hear more of the music for the Ringwraiths. Track 7 is where the listener is first introduced to the full music of Isengard, complete with chains and horns. Brief bits are heard in Track 4, but now its played in all of its glory. From the grim harshness of Isengard and the Ringwraiths the next section takes us to another world of Middle-Earth – the Elvish world. Arwen’s arrival signals the change in music, but as she is pursued to the Fords of Bruinen, it still lets us know that Sauron’s hand over Middle Earth is ever extending and that evil is all too near. Track 9 is also named after a chapter in Lord of the Rings -“Many Meetings”. At this point in the film Frodo is reunited with Sam, Merry, Pippin and Gandalf after his escape from Isengard and the evil clutches of Saruman. Again we hear the core of the Fellowship theme, which is incorporated with the music of Rivendell. Track 10 features both a song and a lengthy music section. Singer Enya lends her vocal talents to the song “Aniron”, the love song for Aragorn and Arwen. Beautifully written by Roma Ryan and Enya, the song, which is purely in the Elven tongue of Sindarin, adds a touch of femininity to what is mostly a male-oriented film. At the end we hear the Fellowship theme finally formed. Just like the Nine Companions: hobbits, Frodo (the Ringbearer), Sam, Merry, Pippin. The men Aragorn, son of Arathorn and Boromir of Gondor. Elven prince Legolas of Mirkwood. Dwarf Gimli, son of Glóin and Istari wizard and friend to Frodo, Gandalf the Grey, leader of the Fellowship. Track 11 tells us of the start of their journey and the beginning of many victories and disasters for the Fellowship. Also we hear the full Fellowship theme with strings, brass and percussion sections. It is one of the more rousing tracks on the CD and it provides a wonderful inspirational lift for the mind. After the delight and wonders of Rivendell and the Elves and the forming of the Fellowship, Track 12 is aptly called “A Journey in the Dark”. It is the theme for the dwarf realm of Moria, and the Polynesian all-male choir that Howard Shore used here gives the impression of the mighty dwarves in their underground city of Dwarrowdelf perfectly. At the end of the track, a more lively section is included. It is now the time the Fellowship first fight together, and use their expert skills against the orcs that have overrun Moria. The track blends well into Track 13 “The Bridge of Khazad-Dum” The Polynesian choir strongly feature again, providing music for the greatest of enemies the Fellowship have had to face so far. The last Balrog of Morgoth. Gandalf’s brave and victorious battle against the Balrog is short-lived. Having sent the demon into the fiery chasm of the deepest places of Moria, his bullwhip appears from out of the gloom and drags our hero down with it – lost forever. Now the choir soloist features, singing for Gandalf. In the words of Billy Boyd (Pippin): “As long as Gandalf was there, nothing too bad could go wrong.” The soloist impacts the loss of Gandalf on you heavily. The quiet, continuous violins playing their distinctive sound are both passionate and emotive, and with the high-pitched soloist singing in an Elven tongue just out of range for us to hear, it is undoubtedly one of the greatest pieces of emotional music ever. Following the death of Gandalf, new leader Aragorn brings the Fellowship in Lothlórien, one of the last Elven refuges of Middle-Earth. It is ruled over by Lord Celeborn and Galadriel, Lady of Light. Instead of using Enya again, Peter Jackson wanted a different voice, because he felt that Enya should belong to one part of the Elven world, instead of all worlds. They found Elizabeth Fraser, who gives Lothlórien an other-worldly feel. In my opinion, the music of Lothlórien is better than the music of Rivendell. It shows a much darker side of the Elves. The temptation of Galadriel is primarily this, yet the Lament for Gandalf brings back the essence and the purity of the Elves. The River Anduin is the river in the title of Track 15 “The Great River”. After setting out from Lothlórien, the Fellowship journey downstream on their quest on the River Anduin, passing the magnificent Argonath, which once marked the northern borders of Gondor. Track 15 is all about the strength of Men and is wonderfully produced. After stopping for the night, Boromir is finally overcome by his desire for the Ring; this is mirrored in the start of Track 16, “Amon Hen”. The boys’ choir sings just out of ear-reach in Elvish, so we cannot hear or understand what the lyrics are; but still it is beautiful to hear music such as this. The choir play the role of the voice and tempting offer of the One Ring – wanted by Boromir, but resisted by Aragorn. The choir eventually fades out to the powerful strings and horns that are the sound for the battle of Amon Hen, the battle of the Uruk-Hai of Saruman and the Fellowship; also, the individual battles to the death. Then from nowhere, strings emerge and the rebounds of the iron clashing cease. From the silence, the choir appears again, to signal another loss for the Fellowship–the death of Boromir of Gondor. Superbly incorporated into the track, it is both heartwrenching and painful to hear, and it takes you back to the cinema, where you first saw him fall to the arrows. But from it, the Fellowship theme emerges, slower, quieter, as if to suggest that life goes on, even when death is near. Out of all the tracks on the Fellowship of the Ring soundtrack, Track 17 “The Breaking of the Fellowship” is by far the most powerful of them all, and I think, the best of them all. From its quiet and deep beginnings, to the middle gloom and, then for the last time, the Fellowship theme–disbanded, but alive; as emotional as ever. The beautiful pipe in the middle is the most potent part of the track. If you are looking for a track to promote friendship and peace, then this is it. As Aragorn, Legolas and Gimli “hunt some Orc,” Merry and Pippin are carried away by Uruk-Hai, and Frodo and Sam head towards Mordor on their own, the song “In Dreams” is played. London choir boy Edward Ross has the voice of an angel, and his vocal talents are neither wasted or overworked on the song. 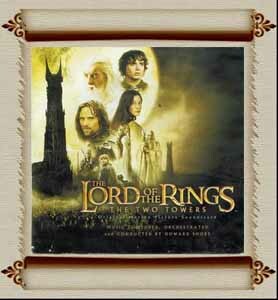 Written by Fran Walsh and Howard Shore, it is a perfect touch to what is already a lavishly rich soundtrack. The last song of the CD is “May It Be” sung by Enya. Her wonderful voice adds a magic to the song, and hers is probably the most amazing and unique voice I have ever heard. If for any reason you haven’t heard this soundtrack, then what are you waiting for? Go down to your local music store and buy it! It is a must for any Tolkien and Lord of the Rings fan. It will blow your mind! The music for the Fellowship of the Ring is some of the most stirring music I have ever heard. It changes from peaceful to solemn to breathtaking swiftly to adapt to the different parts of Middle Earth, and it does this amazingly well. Often it is the music that puts the finishing touches to a scene, giving it a real Tolkien feel. For the Hobbits, the music is gentle, and happy, and calm, often played on a pipe or stringed instruments. It really captures the quiet, carefree nature of the Hobbits. You get a feel of how these people are hiding themselves away from the other races, living their own little lives without involving themselves in anything of great importance. The music for the Elves has a far more mystical, mysterious and often wistful feel to it, especially at Lothlorien. There is a sadness about it that reminds you that although these people are the fairest and wisest of all beings they are soon to leave Middle Earth behind. For the Dwarves, the music is dark and gives you a real feel of danger and doom. The Moria scenes are, of course, some of the most spectacular in the film, and though the special effects and the acting are large parts in this it is the music that has you on the edge of your seat, particularly when the staircase crumbles. It is fast moving, exciting and tense–everything it could be and more. Lastly, the beautiful songs performed by Enya, May It Be and Aniron, represent the romance between Aragorn and Arwen. These do have an Elvish sound to them, a soft sadness; yet, especially in May It Be, a sort of concealed hope that everything will be all right. They are both incredibly moving, though for me at least May It Be is the most moving– the perfect end to a perfect movie. I always had very high expectations of The Two Towers soundtrack, as The Fellowship soundtrack had been so amazing. The Two Towers certainly lived up to my expectations. A couple of tunes that we heard in Fellowship return. These are Lothlorien and the Bridge of Khazad-Dum, and as both were very stirring pieces of music and their return blends in perfectly; this is not in any way a bad thing. The Lothlorien tune continues to be sad and mysterious, and incredibly Elvish. One of the best new pieces of music we hear is the Rohan theme. It does have a sort of medieval English feel to it, and is sad yet sort of hopeful at the same time. Just as the music for the Hobbits and the Elves and the Dwarves were perfect, so is the Rohan music to represent Men. The solos are, as in Fellowship, beautiful. One that particularly captured my interest was Gollum’s Song, performed by Emiliana Torrini. It is suitably spooky and sad and in my opinion perfect for Gollum. This is a fantastic CD and I really recommend that you go buy it! The Fellowship of the Ring was the foundation of a great lot of soundtracks to come, and the Two Towers has proved that. There are many beautiful themes that really reflect the mood of the screenplay and enhance the whole movie experience. The Fellowship of the Ring was the first “classical” soundtrack I’d bought, and I hoped I hadn’t wasted money on it. But when I put it on my CD player it really wowed me. There were some beautiful themes on there: The Fellowship Theme, the tracks Concerning Hobbits, Aniron, The Ring goes South, The Great River, May it Be, The Breaking of the Fellowship?and much, much more. I began to really appreciate the arranging and composing of this piece, and started trying to learn the tracks myself and pick apart the instrumentation to work out what instruments had been used. So far, I have succeeded, and have grown to love the soundtrack. I love The Two Towers Soundtrack. I listen to it as often as I can. I particularly love the Rohirrim theme – and admit to playing an invisible hardinger whenever I hear it! I also really like Evenstar because the soloist has such a beautiful voice and the Elvish really flows through the song. Gollum’s Song is also very good – the soloist has the most interesting voice that really suits Gollum. I really felt Foundations of Stone was a good choice of beginning soundtrack. It combined old and new themes well, and suited the flashback. Rating 10/10. This is well worth buying. I was slightly apprehensive when I walked into HMV to purchase a copy of The Two Towers soundtrack last December. To say that I was impressed by the Fellowship of the Ring soundtrack is an understatement. I have come to love the familiar themes played in the Fellowship of the Ring, from the Nazgul chant, to the Hobbits’ rustic melody, and especially the ethereal Elves’ music. I was eager to hear revisions of my favourite themes as well as new scores that would be in The Two Towers. Indeed I am no professional musician; my concept of music and grasp of the subject has yet to be fully developed. However, music affects all of us in a powerful way, film music in particular, since now we are talking about the Lord of the Rings. Have any of us ever tried to play or whistle or even sing a melody from the soundtracks? I have, many times, and noticed that what it sounds like in my head is never what quite comes out of my mouth or what my hands carry out. Not that we are particularly bad musicians, but my theory is that what we are hearing in our heads is a complete orchestrated score, with numerous parts and harmonies blending together to complement the beautiful solo that is singing out. Our brains, however, in our conscious mind, capture the tune only, and when we try to produce that sound we heard, it falls flat. My point here is that great music, such as the Fellowship of the Ring music, is a whole world of planning, organizing, mixing and harmonizing. A good melody does not ensure good music, and it takes more than talent to blend the two into one stunning collaboration. Most of us were enthralled and delighted by the music in the Fellowship of the Ring, which provides us with our first delightful glimpses into the world of Middle Earth, telling us about Elves, Wizards, Hobbits and great big red eyes. In this compelling score, The Two Towers soundtrack, Howard Shore has revisited us with all the beautiful musical elements we are familiar with in the Fellowship of the Ring. The score for The Two Towers is a classical orchestral piece, but has a European element in it, as can be seen clearly in the music of the Rohirrim. Howard Shore excels in diversity; he has used many instruments from different cultures, for instance the Hardinger, a Norwegian fiddle, and the Rhaita, an African reed instrument. Other exotic instruments include the Cimbalom, Dilruba, Log Drums, and wood Xylophones. All these new sounds create a complex timbre and quality to the music, projecting a certain texture and tone unique to our ears, to represent Middle-earth. The Two Towers soundtrack is a masterpiece. Howard Shore has proven his flexibility and ability to conceive new ideas of music and culture, and his emotions shine through the melodies. The highlight of this marvelous score would be the Rohan music, I believe. In this theme, the essence and spirit of the Rohirrim is captured and expressed. I would think that the world of Men is more difficult to represent in music, we being humans ourselves. What sort of music would symbolize perfectly a group of fair-headed people who love horses? I think there is relatively more scope for imagination and creation in composing music for elves, as we have never really seen them before. For example, we have completely accepted the fact that Elves have pointed ears, though Tolkien made no mention of that in any of his books! However, Howard Shore has done a brilliant job in introducing us to the world of Men, the Rohan theme being a work of art even on its own. The Fellowship of the Ring and the Two Towers soundtracks both have contrasting moods and styles, but I love the way the Fellowship themes have been incorporated into The Two Tower, gliding over the edges of the music, giving us a faint recollection of the previous movie, yet still transporting us a different part of the story. We all are enraptured by the enticing music of the Elves. The theme for Rivendell has a lot of choral music, (for those who are confused, an example is the music straight after Elrond says “Welcome to Rivendell, Frodo Baggins”) the music has a bright sound, as compared to Lothlórien, where there is an air of unease and mystery. In place of the Elvish and Dwarvish that were integral parts of the Fellowship of the Ring score, we are introduced to a bit of Old English. Howard Shore’s music brings to life these old cultures and traditions of Rohan and Gondor. The music in The Two Towers has changes from the ethereal, slow-moving Elven themes to the proud, full-blooded music for Men, embodying the real terror and sadness of war as well as the triumph of victory, both aspects not fully explored in the Fellowship of the Ring. Howard Shore’s music, just like Tolkien’s language, is sincere, colourful, and above all emotional. The best music is when the composer clearly expresses his feelings and emotions, and when it shows though as phrase after phrase is played. I cannot wait another year for the Return of the King soundtrack to come out, but I am sure Howard Shore’s music will continue to delight and amaze all of us. Never really been into orchestral music? I was right there with you, until I received TTT soundtrack. Oh my gosh! You can feel when the music is “talking” about Aragorn or the Uruk-hai. You feel like you are right there in the movie again, slaying Orcs with your bow and arrow, neck and neck with Legolas; or holding back the outer wall against the Uruk-hai with King Theoden. This incredible CD relives the movie, and it is amazing how you know what is happening just by listening to the music. A good CD sends chills up and down your spine; this soundtrack does more than that. Now I will elaborate some on the sounds you will hear. First is the sound of Mordor, which is accomplished by the reed instrument know as the Rhaita. With the exceptions to the instrument buffs, we know this as the wind-like instrument that is sounded when describing the Orcs or Isengard. This instrument grabs your ear and runs with it. It gives you the ominous feeling that something bad is about to happen. How better to capture the henchmen of Sauron and Saruman? Then is the chilling (in a good way) sound of Rohan, which is portrayed by the wonderful Norwegian fiddle. This awesome instrument is played by the talented Dermont Crehan. Let me tell you this: that man knows how to play! (Of course, this is coming from a person that has no musical talent, but believe me he is good!) I can guarantee Mozart and Bach are turning over in their graves to hear such music as this! So I did my homework and found out what those magnificent noises were that I was drawn to. Now, to the background music: All I know is that I listen to it over and over; but the booklet says there are cimbalons, dilruba, log drums, and wood xylophones, so I believe it. The setting where all this extraordinary music takes place is the Colosseum in the Wartford Town Hall. Now what about those barely audible voices you hear, with the exception of Gollum’s Song? I can’t make out what they’re saying but it sounds beautiful all the same. I feel that because you can’t understand them, it adds an air of mystery to already mysterious sounds. It is quite possible that all they’re saying is “watermelon” (old choir trick, don’t know the words say “watermelon” over and over again) but I highly doubt it. So what does all this add up to? Go buy the TTT soundtrack and you will understand what I am rambling about. If this record was to be rated on a scale of 1-10…….. I would give it a 111 (just like dear Bilbo)! The second soundtrack of the Lord of the Rings Trilogy is brilliant again. There are songs from the first soundtrack included in it, such as “Lothlórien” and the beginning of “The Bridge of Khazad-dûm”. There are also some specific instruments used for songs such as the Hardinger, or Norwegian fiddle for the signature sound of Rohan and wood xylophones for the theme of Treebeard. There are beautiful solos on this CD, performed by amazing singers such as Ben Del Maestro, Elizabeth Fraser, Emiliana Torrini (who sings “Gollum’s Song”) and more. Because some parts are returning you may think it’s annoying quickly but that isn’t true, it’s great to listen this CD over and over again!! Generally the CD gives a good ambiance of what the movie is like; it’s mysterious, a little depressing (Frodo and the Ring, the upcoming war), but also cheery (the Victory of Helm’s Deep, Samwise the Brave). 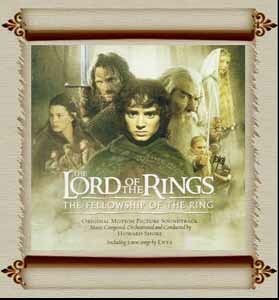 I recommend this CD for everyone who likes the music of Lord of the Rings and classical music. Howard Shore has done it again, and given us a spectacular soundtrack for the final installment of the Lord of the Rings trilogy. Ever since I was initially wowed by the score of The Fellowship of the Ring, Howard Shore has been an idol among composers for me. I eagerly waited for the day when I could go to the store and get the soundtrack for Return of the King. Billy Boyd surprised everyone by singing on the “Steward of Gondor” track. He has a very clear pleasant voice, as he sings a ballad of his own people for Denethor in Minas Tirith. She sings in the songs “Twilight and Shadow,” “The End of All Things,” and “The Return of the King.” Her lovely ethereal voice is used for the elves, creating beautiful and haunting melodies. Viggo Mortensen sings a very short piece on the “Return of the King” track just after he has been crowned king. He has a good voice, but during the movie, the singing seemed (to me) to be a bit random. Annie Lennox sings “Into the West.” I didn’t like this song the first time I heard it. Annie Lennox just seemed out of place in Middle Earth. However, after a couple times of listening, I really liked it. The Ride of the Rohirrim was very dramatic, bringing back the Rohan theme and the hardinger. “Shelob’s Lair” was quite frightening. The discord underneath simple melodies very effectively builds the tension. “The End of All Things” made me shiver, as it shifted between dramatic crecsendoes and quieter vocals. “The Fields of the Pelennor” fits seamlessly in with the battle. Drums pound softly in background, and march-like version of the Rohan theme can be heard in the beginning. The vocals also help to build the excitement. It’s absolutely breathtaking. The Return of the King track incorporates several of the themes, including The Fellowship theme, the Hobbits, and some of Minas Tirith. Several vocalists sing, including Viggo Mortensen. Renée Fleming also sings a bit, representing the elves as Arwen comes to the coronation. Some of the music from “In Dreams” from the Fellowship of the Ring soundtrack can also be heard. To round it off, the “Grey Havens” track is beautiful and sad at the same time, as Bilbo, Frodo, Gandalf, Galadriel, and Elrond leave Middle Earth. There are bits and pieces of the Fellowship theme and the Hobbit theme.